Dan has served as Senior Pastor since 2010. Prior to serving in this capacity, he held pastoral positions in Ohio, Indiana, and Kentucky. Previous to pastoral ministry, Dan held positions as Vice President, Dean, and Professor at Southern Baptist Theological Seminary, where he earned his Master of Divinity and Doctorate of Philosophy in New Testament Interpretation. Dan and Menda Sue were missionaries for eight years in Panama through the International Mission Board (IMB). They have four children and eight grandchildren. 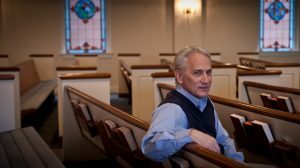 Jeff has served as Pastor for Church Revitalization since 2017. Prior to this role, Jeff planted The Church at Louisville (TCAL) in 2013 where he served as Senior Pastor until its merging with Audubon. 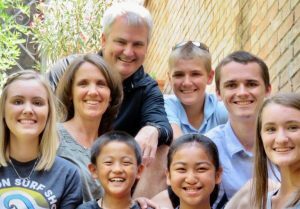 Jeff and his best friend Amy Jo, sons Tyler, Sam, and Eli, and daughters Ellen, Abby and Sarah Ruth, are passionate about one another, helping others in the name of Christ, and taking great care of all that God has entrusted to their care. Jeff may be reached at audubonpastorjeff@gmail.com.